1. Convention (No. 176) concerning safety and health in mines. Adopted at the 82nd Session of the International Labour Conference held on 22 June 1995 in Geneva. 2029 U.N.T.S. 207 (1995). 2.	International Federation of Chemical, Energy, Mine and General Workers’ Unions (2010). The Stronger the Union, The Safer the Mine: How to Use Convention No. 176, A Campaign Guide. Geneva: International Federation of Cheminal, Energy, Mine and General Workers’ Unions. 3. Convention (No. 167) concerning safety and health in construction. Adopted at the 75th Session of the International Labour Conference held on 20 June 1988 in Geneva. 1593 U.N.T.S. 33. 4.	International Labour Office. 2011. World Congress calls for a renewed commitment to build a preventative safety and health culture. Press Release, September 15. Accessed online at http://www.ilo.org/global/about-the-ilo/press-and-media-centre/news/WCMS_162921/lang--en/index.htm. 5. Istanbul Declaration on Safety and Health at Work. 2011. Signed at Istanbul September 11, during the World Congress on Occupational Safety and Health. Described in Hilgert, Jeffrey. 2012. "The Future of Workplace Health and Safety as a Fundamental Human Right" in Comparative Labour Law and Policy Journal. 34:715. 6. Convention (No. 155) concerning occupational safety and health and the working environment. Adopted at the 67th Session of the International Labour Conference held on 22 June 1981. 1331 U.N.T.S. 22345. 8. Evyapan, Fatma. 2015. Coal Mining in Turkey: State and Private Sector Interactions Subcontracting and Redevance. Turkish Thoracic Journal, 16(Supplement 1):3-4. 9. Atalay, Figen. 2015 The History of the Coal Mining Industry and Mining Accidents in the World and Turkey. Turkish Thoracic Journal, 16(Suppl 1):5-8. ISNAD Hilgert, Jeffrey . "The ILO’s Safety and Health in Mines Convention: Reframing the Scope of Obligations for a Sustainable World". 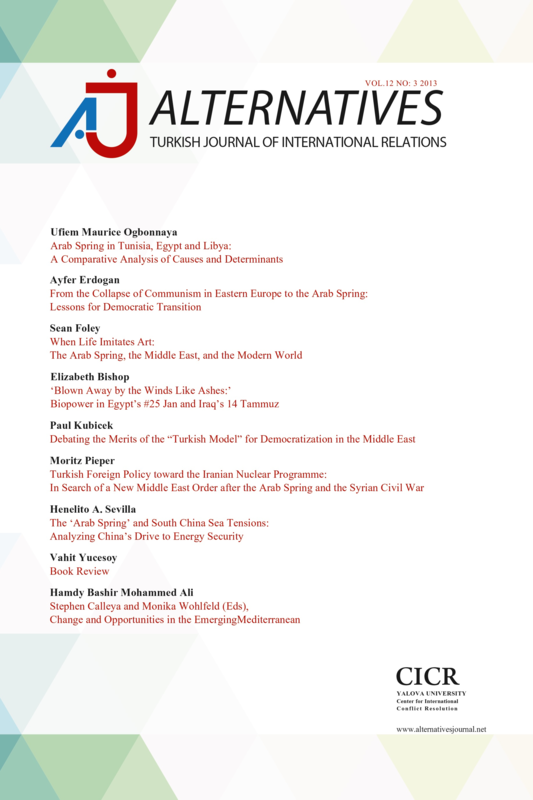 Alternatives: Turkish Journal of International Relations 14 / 4 (April 2016): 59-69.